The findings could fuel debate about the barrier between life and death, and provide a new way of researching diseases like Alzheimer’s. Thirty-two pig brains were collected from an abattoir. Four hours later the organs were connected to a system made by the team at Yale University. It rhythmically pumped (to mimic the pulse) a specially designed liquid round the brain, which contained a synthetic blood to carry oxygen and drugs to slow or reverse the death of brain cells. The pig brains were given the restorative cocktail for six hours. The study, published in the journal Nature, showed a reduction in brain cell death, the restoration of blood vessels and some brain activity. The researchers found working synapses – the connections between brain cells that allow them to communicate. The brains also showed a normal response to medication and used up the same amount of oxygen as a normal brain. This was all 10 hours after the pigs were decapitated. Crucially there was no sign of the brain-wide electrical activity in an electroencephalogram (EEG brain scan) that would signal awareness or perception. Fundamentally they were still dead brains. The research transforms ideas about how the brain dies, which many thought happened quickly and irreversible without a supply of oxygen. Prof Nenad Sestan, a professor of neuroscience at Yale University, said: “Cell death in the brain occurs across a longer time window that we previously thought. “What we are showing is the process of cell death is a gradual, stepwise process. The pig brains came from the pork industry; the animals were not raised in a lab for this experiment. But the Yale scientists were so concerned the pigs might become conscious that they gave drugs to the disembodied brains to reduce any brain activity. And the team were constantly monitoring the brains to see if there was any sign of higher brain functions. In that case they would have used anaesthetic and ended the experiment. Ethicists, writing in Nature, say new guidelines are needed for this field because animals used for research could end up in a “grey area – not alive, but not completely dead”. The immediate benefit of this work will be for scientists studying the brain in diseases like Alzheimer’s. The organ is the most complex structure in the known universe, but techniques such as freezing slices of the brain or growing colonies of brain cells in a dish do not let researchers explore the full 3D wiring of the brain. In the long term, scientists hope to find better ways of protecting the brain after traumas such as a stroke or being starved of oxygen at birth. Dr Andrea Beckel-Mitchener, from the Brain Initiative at the US National Institute of Mental Health, said: “This line of research could lead to a whole new way of studying the post-mortem brain. However, the researchers say it is still far too early for the field to make a difference to patients after injury. At the moment no, but some ethicists say we should have the debate now as people who are “brain dead” are a major source of organs for transplant. Prof Dominic Wilkinson, a professor of medical ethics and a consultant neonatologist in Oxford, said: “Once someone has been diagnosed as ‘brain dead’ there is currently no way for that person to ever recover. “The human person that they were has gone forever. But that is not currently the case. Prof Tara Spires-Jones, deputy director of the Centre for Discovery Brain Sciences at the University of Edinburgh, said: “This study is a long way from preserving human brain function after death as portrayed in the cartoon Futurama where heads were kept alive in a jar. 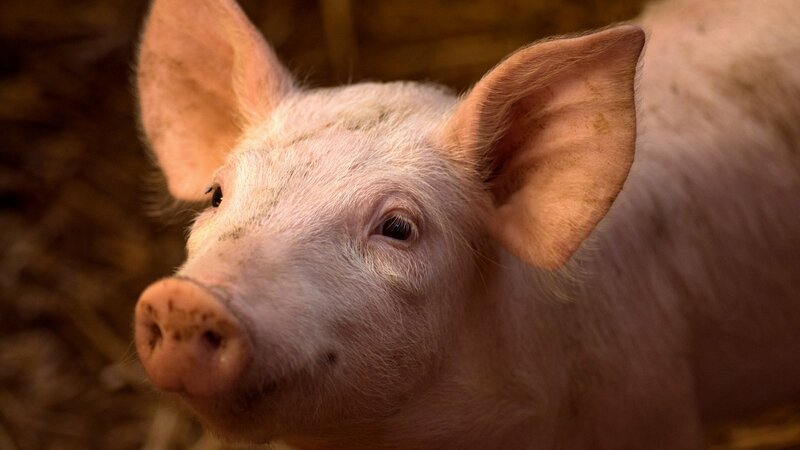 Could the pigs’ brains be aware? In this experiment the answer is a clear no. The brains were effectively silent. How long can the researchers keep brains going? Would the results be even better if the researchers did not wait four hours before starting? Also, the team used drugs to suppress brain activity – would the decapitated brains have been aware if they hadn’t?